— 1956: Bulger is sentenced to federal prison for bank robbery and is transferred to Alcatraz after being suspected of plotting an escape. — 1960: Bulger’s younger brother, William, is elected to the state House of Representatives with campaign help from John Connolly, a childhood friend. 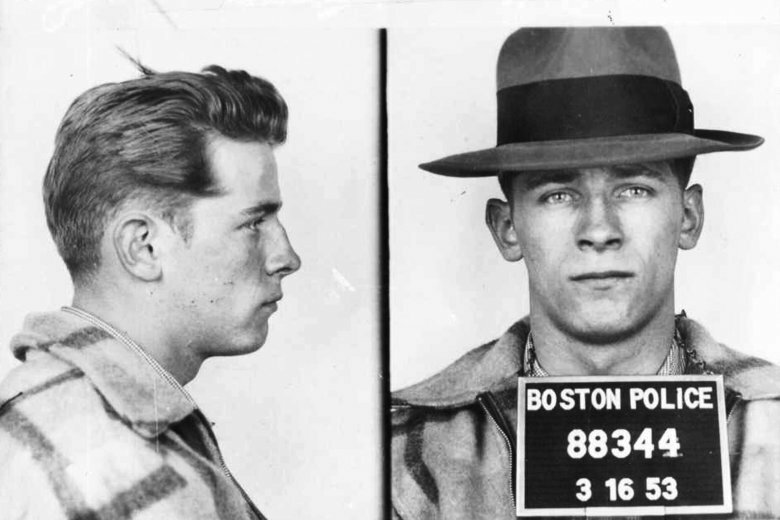 — 1965: Whitey Bulger is released from prison and becomes a top lieutenant to Howie Winter, head of the Winter Hill Gang. — Mid-1960s: Gangster Stephen “The Rifleman” Flemmi develops a relationship with a Boston FBI agent and informs on members of the Providence, Rhode Island-based New England Mafia. — 1969: Flemmi is indicted in the murder of a mobster, and with childhood friend “Cadillac” Frank Salemme, for a car bombing. The two flee Boston after a tip from the agent. — 1970: William Bulger is elected to the state Senate. — 1972: Connolly, now an FBI agent, recognizes Salemme on the street in New York City and arrests him, earning Connolly a transfer back to Boston. — 1974: Flemmi returns to Boston after several key witnesses recant. — June 1975: Flemmi kills Edward Connors to prevent him from telling authorities about a murder by the Winter Hill Gang. — 1977: Agent John Morris is appointed to oversee Connolly and his underworld informants. — 1978: William Bulger becomes president of the state Senate and goes on to serve in the post longer than anyone in its history. — 1979: A former associate implicates Whitey Bulger and Flemmi in a horse race-fixing scheme; FBI agents Connolly and Morris persuade federal prosecutors to leave the two out of the indictment. Twenty-one people are charged, including Winter, whose conviction paves the way for Bulger and Flemmi to assume control of the Winter Hill Gang. — November 1980: Bulger and Flemmi help the FBI plant a surveillance bug in the North End headquarters of Boston Mafia boss Gennaro Angiulo. — May 1981: Roger Wheeler, the owner of World Jai Alai, a gambling enterprise from which Bulger and Flemmi have been skimming money, is shot outside his country club in Tulsa, Oklahoma, by Winter Hill hit man John Martorano. — Spring 1982: Bulger and Flemmi allegedly gun down a former henchman in broad daylight in Boston to prevent him from talking about the Wheeler murder. Connolly tells the FBI rival gangsters made the hit. — July 1982: Flemmi and Bulger allegedly order Martorano to kill John Callahan, the former president of World Jai Alai, to prevent him from telling investigators about the jai alai scheme. — December 1994: Bulger disappears just before his indictment on racketeering charges. Indictment comes down the next month. — 1997: The FBI, under court order, acknowledges Bulger and Flemmi were “top echelon” informants as a federal probe into corrupt ties to mob informants begins. — May 2002: Connolly is convicted of racketeering for warning Bulger, Salemme and Flemmi they were about to be indicted. — June 2003: William Bulger testifies before a congressional committee investigating the FBI’s ties to mobster informants such as his brother. After receiving immunity, he acknowledges receiving a call from Whitey Bulger shortly after he fled but says he has not heard from him since and has no idea where he is. — August 2003: William Bulger resigns as president of the University of Massachusetts system amid growing pressure. — 2005: Federal and state law enforcement officials investigate leads and Whitey Bulger lookalikes in at least 19 countries. — 2006: Authorities release 26-year-old surveillance video of Bulger in the hope that someone will recognize his mannerisms. — 2007: The FBI releases video of a couple resembling Bulger and his longtime girlfriend, Catherine Greig, in Italy. — 2008: Connolly is convicted of second-degree murder in the hit on Callahan as prosecutors argue the information he provided the mobsters was critical. — 2010: The FBI appeals to plastic surgeons in the effort to locate Bulger and Greig. — June 20, 2011: The FBI announces an effort to target Greig in the hopes of reaching Bulger. — June 22, 2011: Bulger is arrested in Santa Monica, California, with Greig. — March 14, 2012: Greig pleads guilty to helping Bulger evade capture during 16 years on the run. — June 12, 2012: Greig is sentenced to eight years in prison. Her attorney says she still loves Bulger and doesn’t regret helping him stay on the run. — Nov. 4, 2012: Bulger is taken from jail to a hospital where he is treated after complaining of chest pains, then back to jail. — March 4, 2013: A judge rules that Bulger can’t present evidence at his trial about his claim that a now-deceased federal prosecutor gave him immunity for future crimes, including murder. — June 12, 2013: Opening statements in Bulger’s trial begin. — Aug. 12, 2013: Bulger is convicted of racketeering and other crimes, including extortion, conspiracy, money-laundering and drug dealing. The jury believed he took part in 11 of 19 killings. — Nov. 14, 2013: Bulger is sentenced to two consecutive life sentences plus five years and imprisoned in Arizona. — Dec. 17, 2013: Bulger is moved to a federal prison in Oklahoma. — 2014: Bulger is transferred to a federal prison in Florida. — Oct. 29, 2018: Bulger is moved to USP Hazelton, a high-security prison in Bruceton Mills, West Virginia. — Oct. 30, 2018: Bulger is slain in prison at age 89.